The library has announced that the collection of 10,000 items belonging to Parks is available to the public. The collection presents a more complex portrait of Parks, who is remembered for a single, iconic act of civil disobedience. Parks refused to give up her seat on a bus in Montgomery, Alabama, in 1955, which sparked a yearlong bus boycott that helped dismantle formal segregation. She traveled with the NAACP, pressing for civil rights, and eventually landed a job at Hampton Institute (now Hampton University) in Virginia, earning $3,700 a year. Not until 1965, when Parks was hired for the district office of Michigan Rep. John Conyers, did she finally earn a steady, living wage, archivists say. The collection reveals Parks had an aggressive edge. She supported more radical actions seeking equality over the years, archivists said. She used her symbolic status to support Malcolm X, gatherings of Black Panthers and the Wilmington 10 in North Carolina. 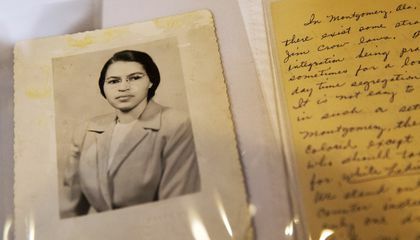 How does this new digital archive promote Rosa Parks’ old old papers, letters and notes? Over 10,000 of Rosa Park's possessions, including letters and photographs, have been published online by the Library of Congress. After being kept from the public for years due to legal issues, the collection was purchased by philanthropist Howard Buffet in 2014 and placed on loan at the national library. 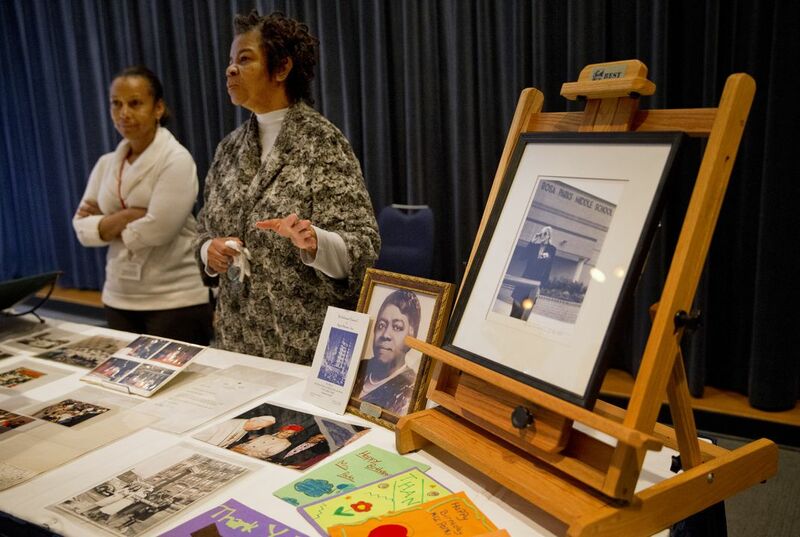 The online collection displays Rosa Parks' accomplishments and highlights her aggressive edge. Although there is something so special about viewing historical artifacts in person, I believe many people will appreciate that Parks' collection can be viewed online. Since people today rely on the internet for research, it will be handy for those conducting research to have all these files at their fingertips. This online collection betters the community by enabling such profound artifacts to be more accessible by virtually anyone. It is tragic that such a hero had to endure financial hardship most of her life. It was the same for Ruby Bridges. I think this is a great thing that these records are finally open to the public because they show a very important part of our country's history. It's interesting hearing more about an iconic figure, such as Rosa Parks, than just the single, prominent act of civil disobedience most know her for. It would be nice if history textbooks included some of this information, alongside the story of her refusing to give up her bus seat. I think its cool that people that are always on the internet can look at these things instead of useless stuff. Now everyone will be able to look up these archives whenever they please. I learned many things from this article. I never knew that Rosa Parks lived for so long nor did I know much about her past. I thing its interesting and cool to have other things that Rosa Parks stood for and personal information in a book. The new digital archive promotes Rosa Parks' old papers, letters and notes by publishing them to the Library of Congress. The new digital archive promotes Rosa Park's old papers, letters and notes by making it available to a lot more people than just the person reading it. It promotes them because more people can read them and be able to understand what it was like for a black person during segregation.